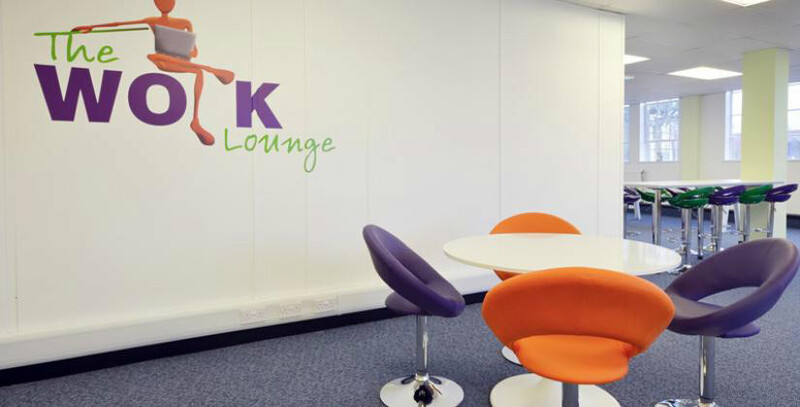 Coworking spaces, like our Work Lounge in Letchworth, can help start-ups save valuable money while they are getting established. Starting a business is a very expensive process and up to a third of new companies will fail in the first three years. But coworking spaces, like our Work Lounge in Letchworth, can help start-ups save valuable money while they are getting established. For the majority of new businesses, cash flow is an issue and it can be difficult to spare the money to rent an office space during the first few months, when income is uncertain and you are still trying to spread the word about your company. For this reason, many entrepreneurs choose to work from home until they have enough money to pay the rent on an office, workshop or business unit. Home working can be a good solution, but many start-up company owners may feel uncomfortable using their home for their registered business address. It is also more difficult to maintain a professional image if you have to meet potential clients at your home or in a coffee shop. With Bizspace’s coworking initiative The Work Lounge, you can access a professional work environment and only need to pay for the number of hours you use the space. We have on-site meeting rooms for hire if you need a more private space to meet with clients or colleagues. You can even rent a mailbox at the same business centre to help protect your privacy and give your company a professional image. Another good reason for start-ups to use co-working spaces is the opportunity to network. While you are getting your business started, you are likely to need to work with a number of other people including website designers, copywriters and accountants. By using a coworking space, you will be meeting like-minded individuals and increasing your network of professional contacts. You may find you enjoy bouncing ideas off your fellow co-workers or that you can help each other’s businesses by referring potential clients. Coworking spaces are also a more social environment than being at home, where there is the danger of feeling lonely and isolated. Some people try to combat this by working in public places, such as hotel lobbies or coffee shops, but this raises issues of IT security and privacy as the wifi connections can be insecure and there is no safe place to leave your work if you have to leave the table unattended. There is also the issue of whether you will get a table – which could cause embarrassment if you were meeting a client – and having to keep buying refreshments to stay there. The Work Lounge offers free high speed internet access, complementary drinks and use of the kitchen facilities, so you won’t end up squandering your company’s profits on cappuccinos. It is also likely to be less noisy and distracting than a café as everyone is there for the same purpose – to work. Free parking also gives you one less thing to worry about. Our first Work Lounge, at our Pixmore Centre in Letchworth, is opening next week, with an open day on 3 September 2013. Why not drop-in and take a look around? We are planning to roll out the initiative to locations around the UK. Spaces in Manchester and Brixton will open soon with others planned in the near future.